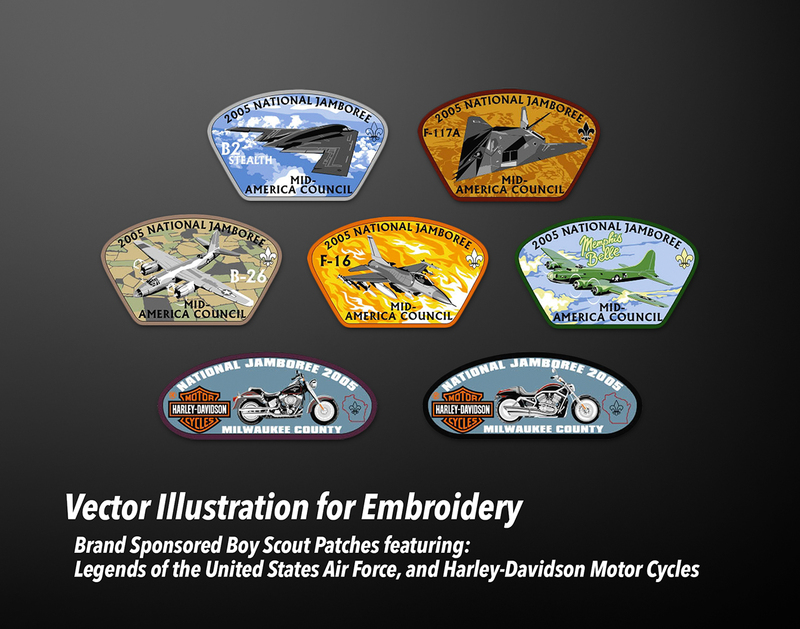 I have used vector illustration tools extensively for production and design in my career. 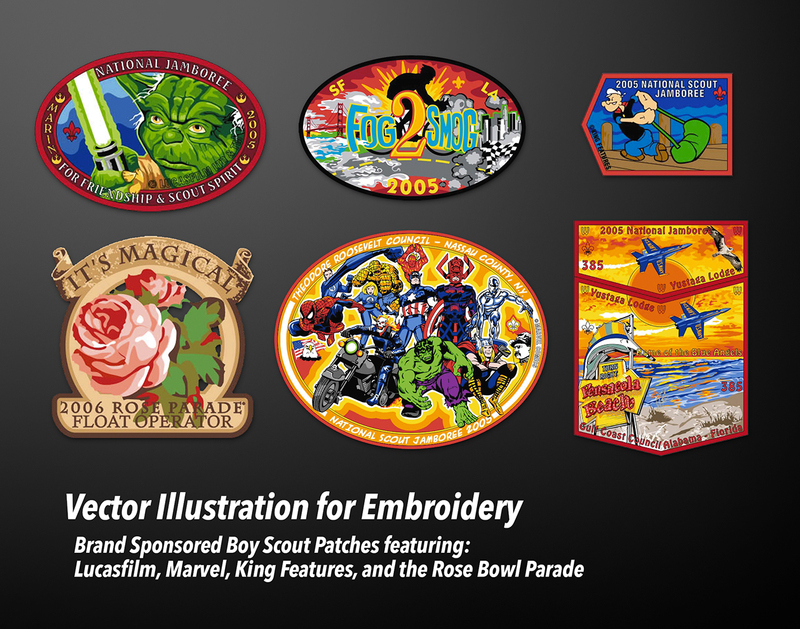 Professionally I have been using vector illustration programs daily for a combined 12+ years (and counting). I spent two and a half years using Corel Draw, another two years using Macromedia Freehand, and more than eight years using Adobe Illustrator. I work pretty fast when creating vector art, whether I’m designing a new vector design, cleaning up a raster illustration, or using the pen tool to mask a complicated shape like a fashion model or hard-edged object like a car or buildings. 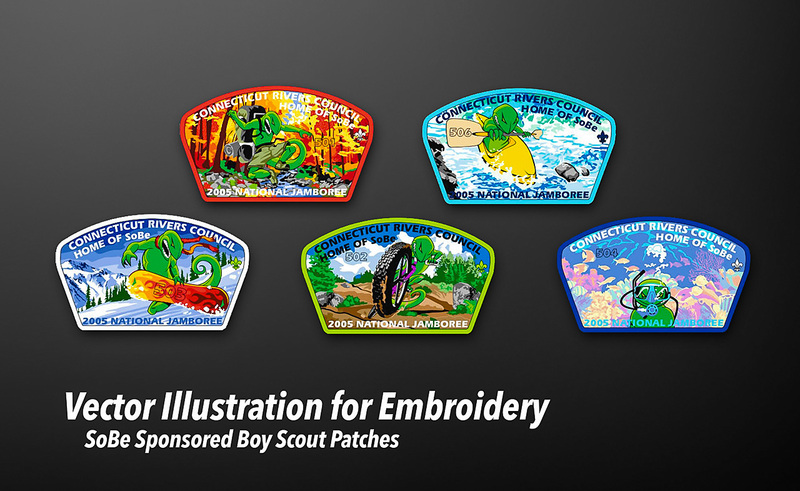 Patches are fun to trade and give away because they make a great positive impression on people. 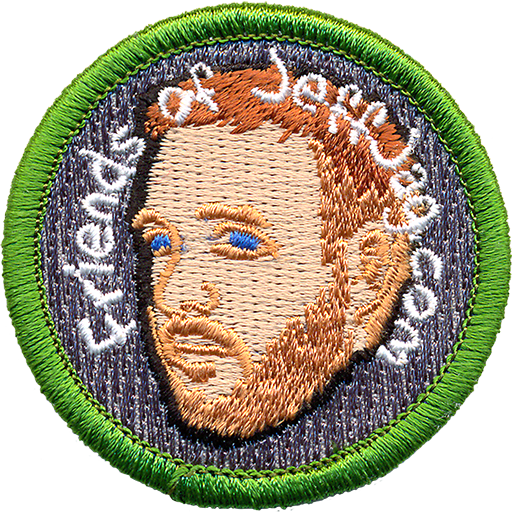 From 2004 to 2012 I handed out roughly 800 of my Friends of JeffJag.com patches and I would get very strong reactions from people. 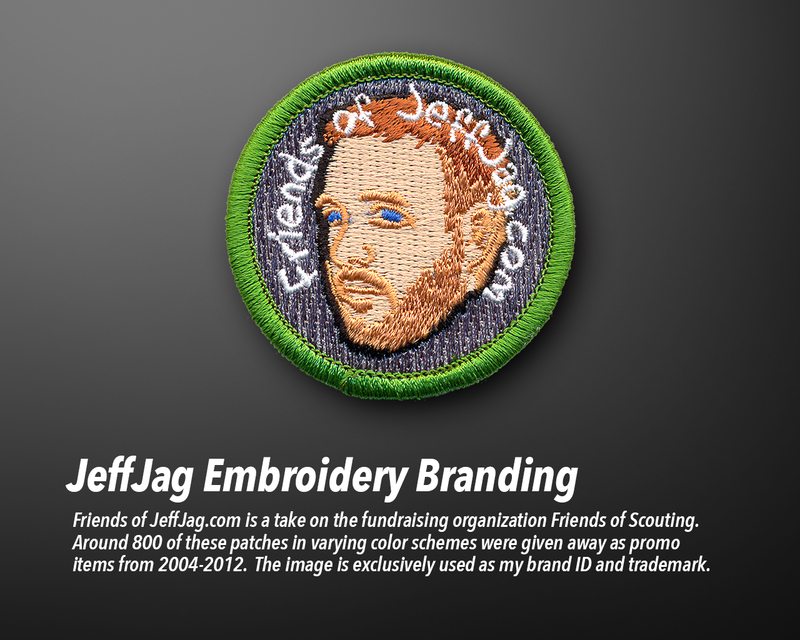 Part of it was because I was handing them an embroidered patch with my face on it, and that has novelty. 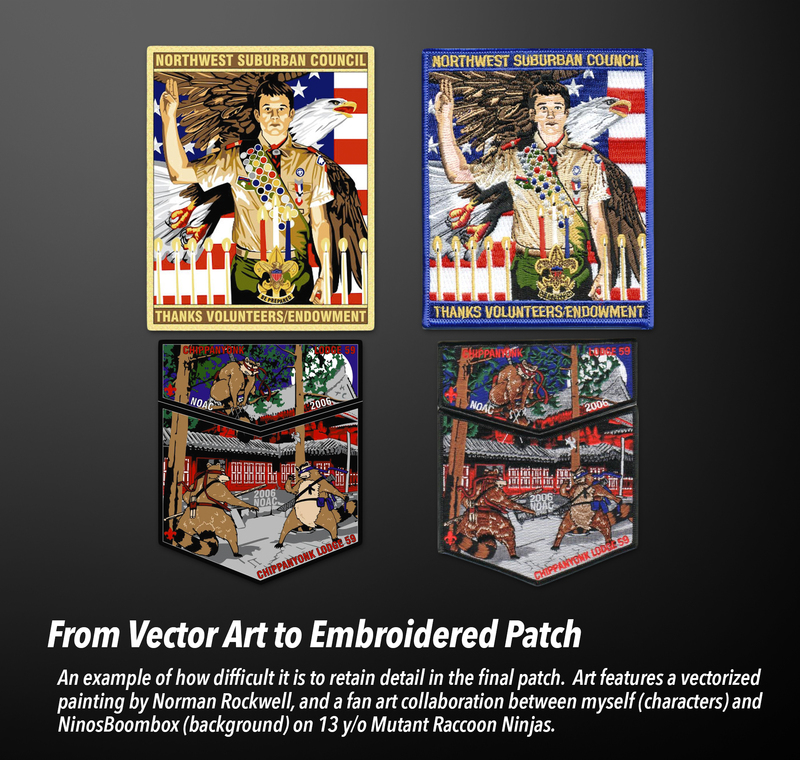 But it also had to do with the perceived value of something like an embroidered patch. At the size I produce them, two inch diameter, the cost was relatively low and worth the investment and goodwill it generated.